the die-cut and press to cut out the lions from the yellow cardstock. Fold the red or burgundy cardstock in half. 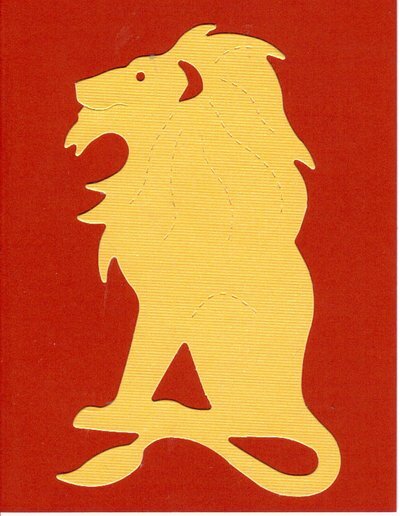 Use glue to adhere lion to the front of the red/burgundy cardstock. Megan's tutorial was taken with permission.